(VEN) - Vietnam Chamber of Commerce and Industry (VCCI) Deputy Chairman Hoang Quang Phong when addressing the Vietnam-Belarus Business Forum, organized in Hanoi during the official visit of Belarusian President Alexander Grigoryevich Lukashenko to Vietnam, said that in addition to challenges, many opportunities have been provided for the two countries to promote economic and trade cooperation. The integration and development process has offered opportunities for the two countries to improve relations. Thanks to the establishment of the ASEAN Economic Community (AEC), Vietnam is ready to help Belarusian goods enter ASEAN countries and the region. Meanwhile, the Eurasian Economic Union has seen Vietnam as a leading trusted partner. However economic and trade cooperation results have not been satisfactory. Total trade turnover between the two countries remains small. Belarus ranks 124th and 59th among Vietnam’s export and import markets worldwide. 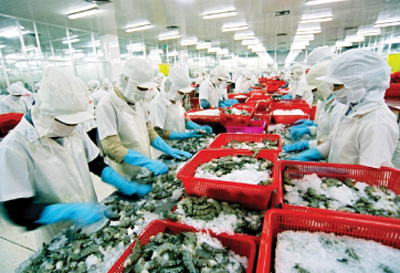 In the first eight months of 2015, total two-way trade turnover between the two countries reached US$95.8 million through the main Vietnamese exports of seafood, furniture, garments and textiles, footwear, rice, natural rubber, cashew nuts, peanuts, pepper, tea, canned fruit and vegetables, pharmaceutical products, computers and spices; while Vietnamese imports included fertilizer products, machinery and equipment, spare parts and chemicals. Belarusian Minister of Industry Vitali Mikhailovich Vovk said that Vietnam is one of Belarus’s traditional partners in Southeast Asia, while Belarus is a main provider for Vietnam in terms of excavators, buses and tractors. Belarus is planning to construct a bus manufacturing plant in Vietnam and wants to promote its brands and manufacturing capacity in the country. As many as 12 cooperation agreements were signed in the business forum in such fields of freight, equipment and potassium fertilizer supplying. The VCCI and the Belarusian Chamber of Commerce and Industry also signed a joint cooperation agreement between the two chambers. Together with favorable conditions such as high economic growth and large demand on expanding goods exchanges, Belarusian and Vietnamese cooperation is expected to further develop in the coming time in education, manufacturing and construction, infrastructure development and agricultural modernization. However, Vietnamese businesses need to adopt new development strategies in accordance with the trend. Belarusian Deputy Prime Minister Vladimir Semashko said that Vietnam and Belarus have had many opportunities to expand cooperation. In particular, the signing of the Eurasian Economic Union-Vietnam Free Trade Agreement will provide opportunities for the two countries to develop relations.